This stand alone story is jam packed with malevolent Mixed Martial Arts mayhem, as Green Hornet and Kato enter a cage match with the baddest men in Century City! Britt Reid and Mulan have decided to enjoy a nice, street clothes night out at the fights. When an old college buddy of Britt's is seriously injured in the octagon, our heroes join the fray. 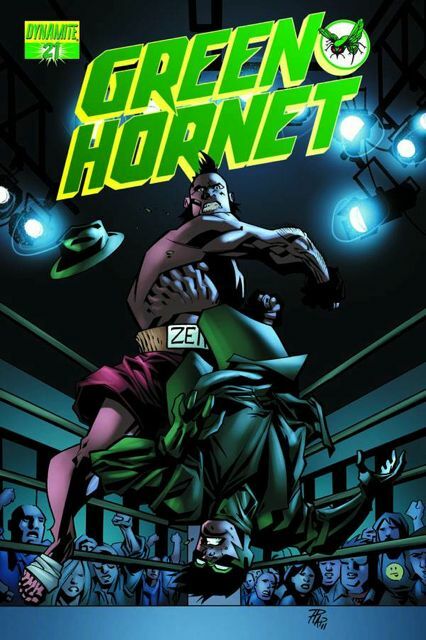 Now, Green Hornet and Kato have to stay alive in a bloody cage match to the death against the very fighters they bought tickets to see.